Rubbing your stain off of your carpet is definitely a carpet cleaning mistake that will just make this worse. The stain will may bet rubbed into the carpet even deeper which will make it harder to get it out. Many people like to clean their carpet and then dry it with a hair dryer. 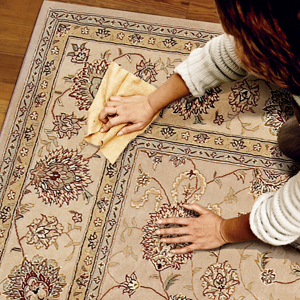 This is a carpet cleaning mistake that you should definitely avoid. This could ruin your carpet by the forceful hot heat. Some people spill something and tell themselves that they will clean it up later. This is one of the worst carpet cleaning mistakes that one can make. The longer you wait, the harder it will be to get the stain out. There are certain types of cleaners that you should use for certain stains and spills. Some cleaning supplies are great for dirt while others work better for red stains. Sometimes people may call a professional to clean their carpets and not think of the choices that they have. It is important to call many different companies to figure out which are the best ones. Make sure that they have the right equipment, have a guarantee, and can come out the same day.